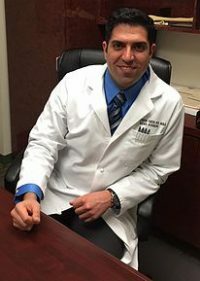 A New York native, Dr. Oheb graduated SUNY Binghamton University with degrees in economics and chemistry. With high honors in chemisty and valedictorian honors in economics. Dr. Oheb finished college in 3 years and attained an MBA in 1.5 years also at SUNY Binghamton with high honors. Dr. Oheb then went on to pursue his true passion in the care of others. He attended SUNY Upstate Medical University graduating in the top 5% of medical students in the country with AOA honors. He then went on to study Orthopedic Surgery at the prestigious Mount Sinai Hospital in New York City. During his residency Dr. Oheb had extensive exposure to general orthopedics, orthopedic trauma, and shoulder surgery. Afterwards he completed a hand surgery fellowship at the Oklahoma Hand Surgery Institute. In addition to his background in general orthopedics, orthopedic trauma, and shoulder surgery, Dr. Oheb has an expertise in the treatment of all hand, wrist and upper extremity injuries, including the operative and nonoperative treatment of broken bones and other injuries. As an avid body builder he has firsthand knowledge of the physical and mental challenges active individuals face. Dr. Oheb is currently a candidate member of the American Academy of Orthopedic Surgeons, the American Society for Surgery of the Hand, as well as the American Association of Hand Surgeons. Dr. Oheb is a dedicated, hardworking, detail-oriented surgeon who takes care of each and every one of his patients with compassion and competence. Great doc. Competent surgeon. Hard-working. Very accessible. I have known and worked with Dr. Jonathan Oheb for past two years, he is a great doctor easy to work with and an excellent surgeon. He filled the void hospital did not have a good hand surgeon since I got on staff at providence holy cross in 1981. I wish this bright young doctor surgeon have a great future in his professional and personal life. Dr Oheb is a highly skilled, motivated and compassionate doctor. We met in our intern year, and have been close friends and colleagues ever since. He is a big patient advocate and delivers evidence based care. He is a pleasure to work with and I highly recommend him. Dr. Oheb is a fanastic physician. As a colleague of his, I have had the pleasure of working with him for some time. He is trustworthy, knowledgeable, and approachable. He treats all his patients as if they are his family – in fact, I trust him to care for my own family. He is an asset to the community and deserving of this recognition. 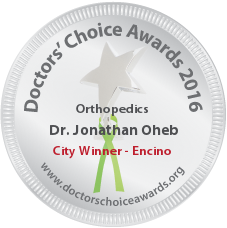 It’s an honor to nominate Dr. Jonathan Oheb for doctors choice award. I have had the pleasure of knowing Dr. Oheb both professional and personal level for many years. He has exceptional bedside manners and highly knowledgeable in his field. His compassion for orthopedic surgery and patient care is unparallel. It is a privilege to call him a colleague and good friend. I have had the pleasure of knowing and consulting Dr Oheb on many occasions. He is an amazing physician with a great deal of skills. He has the unique ability to implement compassion with practical and evidence based medicine to individualize care for each patient. I have had the pleasure of working with Dr. Oheb for several years. I have found him be very knowledgeable and caring. Dr. Oheb takes great care of his patients. I have known Dr. Oheb for many years and can attest to his unsurpassed bedside manner, wealth of knowledge in his specialty and medicine in general, and his compassion when it comes to his patients. 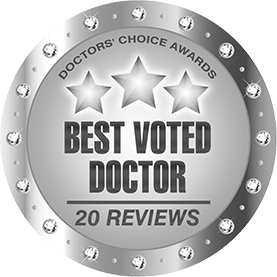 Dr. Oheb embodies all the qualities one would want from their physician and it is my honor to recommend Dr. Oheb for the Doctor’s Choice Award. I have had the pleasure to know Dr. Oheb for few years. He is a great physician and orthopedic surgeon. He has been always available and attentive to all my patients and does a great job. I truly recommend him for the doctors choice award, for the great job he does. I have worked with Dr Oheb on many occasions.he is a good physician with great knowledge, easy to work with. He practices evidence-based medicine. Dr Oheb is professional, skilled, caring and pleasant. I’m routinely associate with him and his orthopedic expertise to care for patients presenting with complex orthopedic and soft tissue coverage challenges. I hold him in high regards. I have had the pleasure of working with Dr Oheb for over two years and have come to recognize how he is a truly well rounded physician. He is able to quickly assess a situation in a patient’s care and determine the best course of action. He is kind and considerate and his patient’s speak highly of his bedside manners. His is prompt in his responses to consultations and well liked by his physician colleagues. He always has the patient’s best interest in mind and acts as an advocate for them. He is a model physician and deserves to be recognized for his work ethics and skills. Dr. Oheb is a talented and compassionate physician. He works tirelessly to provide all patients with the highest level of care possible. Above all, he is a kind person who treats others with the upmost respect. I strongly recommend Dr. Oheb to be recognized for his outstanding work. He is a thorough physician and spends time to understand his patient’s needs and provide individualized treatment. He is dependable and has consistently effective results. Dr Oheb is compassionate Orthopaedics surgeon who truly cares for his patients. His dedication to his field and offering his patients the best care is exemplary. It has been a pleasure working with him at my hospital and I gladly refer patients to him whenever possible, knowing that they’re in great hands. He is a great orthopedic surgeon I referred several patients to him and all patients are very happy with the result of surgery. I do commend this knowledgeable orthopedic surgeon to my Patients I have known him for more than three years at Providence holy cross medical center. 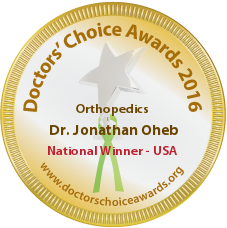 Dr Jonathan Oheb is a caring medical professional who truly puts his patients first. His surgical skill and diagnostic acumen is without parallel, and to top it all off, he makes treatment decisions as if patients were part of his own family. He is brilliant, talented, always well prepared, and extremely thoughtful in his patient care. There is nobody more deserving to be honored for his work. Dr. Oheb is a phenomenal doctor, from a personality and professional standpoint . As a dentist I wouldn’t trust my hands with anyone but the absolute best. Dr. Oheb is a specialist, with a laser sharp focus. Every day I work with my hands and am reminded at how important it is to work with the best. I can’t say enough good things about him. Dr. Oheb is one of the most compassionate and selfless physicians I have met. He is the only one I trusted for my own personal orthopedic needs when I injured my hand in an emergency. My injury could have left me with permanent damage, affecting my entire career. Dr. Oheb went out of his way to cater to all my needs, and proceeded to complete my surgery with no trace of any injury happening at all. He monitored my healing closely and meticulously. I strive to provide the same care and dedication to my own patients. Dr Oheb is a Very nice and personable Doctor. He is a competent and Good surgeon. Very Companionate Doctor . Dr. Oheb is a great physician and surgeon. Very caring. One of my family members which I referred to him is currently under his care and very happy and satisfied with the care she is receiving. Excellent caring and very experienced clinically. Knows what he’s doing and has great skills. He doesn’t only cure conditions he also puts your mind at ease and has great beside manner. Highly Reccomended. Dr. Oheb is a compassionate and well versed hand surgeon. Although his specialty is in hand surgery, his approach with respect to orthopedics is second to none. He genuinely cares about his patients and takes the time to explain the best treatment for his patients.